Carl Frampton will face Scott Quigg in Manchester on February 27. It seems a deal has been done for IBF World champion Frampton to fight WBA belt holder Quigg - but the contracts are still to be signed. 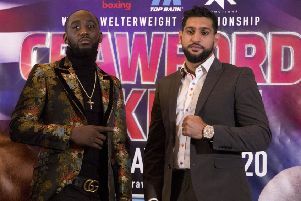 Fight fans will be delighted that Matchroom and Cyclone Promotions have finally got this fight sorted and all roads will lead to Manchester on February 27.